Despite several fine performances, this is a disappointing film. It shares the same failing as Black Swan, in that implausible or weird events are explained as occurring within the mind of an unstable and quite probably insane central character. The upshot is that you come to doubt pretty much everything that you’re seeing; and it matters not a jot. Reality gives emotional weight to experience, and when it’s called into question, emotional investment takes flight too. There’s good acting from Ethan Hawke as Tom, a disturbed writer, and from Kristin Scott Thomas, who’s a stunning, seductive and sinister beauty. But the film as a whole is a falderal; you fairly soon don’t accept anything in it as real. And it would be unable to sustain a second viewing. With an original screenplay by James Ellroy, this film is definitely worth a watch. As a portrait of a man facing moral meltdown, it is riveting, Woody Harrelson delivering a take-no-prisoners performance as Dave Brown, a rogue LA cop. He is a killer, a womaniser, a thief, a man of violence. But his love for his daughters cannot be doubted. If you’re familiar with Ellroy’s work, it will likely occur to you that Dave Brown is an updated version of Lloyd Hopkins, the cop in the L.A. Noir trilogy of novels, while his surname harks back to the writer’s first novel (Brown’s Requiem). What is different here is the emphasis on Brown’s psyche and on a distinctive kind of (self-) destructive masculinity, rather than on the progress of a particular police investigation. A good film – see it for Harrelson’s performance above all. Let me see if I can do justice to what was a fantastic theatrical experience. It begins with a seemingly inconsequential yet telling scene: a bit of banter between mother and son. Then there’s the stock situation of a young woman having a child out of wedlock, a just-married man apparently the culprit. Will it turn out to be a farce, is this where we’re heading? Well, the farce and comedy rumbles on throughout, but it is never exactly central. And instead attention now switches to the man’s marriage and his relationship with a yelping, dissatisfied wife. There’s that twin portrait you often find in Lawrence: man as an inarticulate, pitiable beast; woman as his keeper and tormentor. And again the gender war, in the form of guerrilla skirmishes for the most part, rumbles on and while closer to the play’s heart it’s not really key either. Here is what’s central: the complaint of the woman who marries a man to the woman who formed him; a wife’s grievance towards her husband’s mother. You’re aware that some kind of strike is taking place and that the army has been called in, but all this happens off-stage. It’s not what the play is about. It’s about the world of women; and it is an extraordinary play for a man to have written. All the women are capable, fierce and for the most part self-assured. As to the men, they are a kind of material passed from generation to generation that these women must somehow work with: make do and mend. The final scene is, well, sublime and it offers a solution to that old Arthurian riddle: ‘What is it that a woman desires most in all the world?’ Everything that precedes this final scene is thereby justified; such is its power. Downsides are few. The dialect may be bothersome to some, an obstacle to understanding. Yet despite the theme being pretty much universal, that’s the way Lawrence chose to write it. Call it arrogance or artistic ambition, if you will. A small warning: the ‘N word’ makes an appearance, but it’s not used pejoratively (the play was written in 1913). 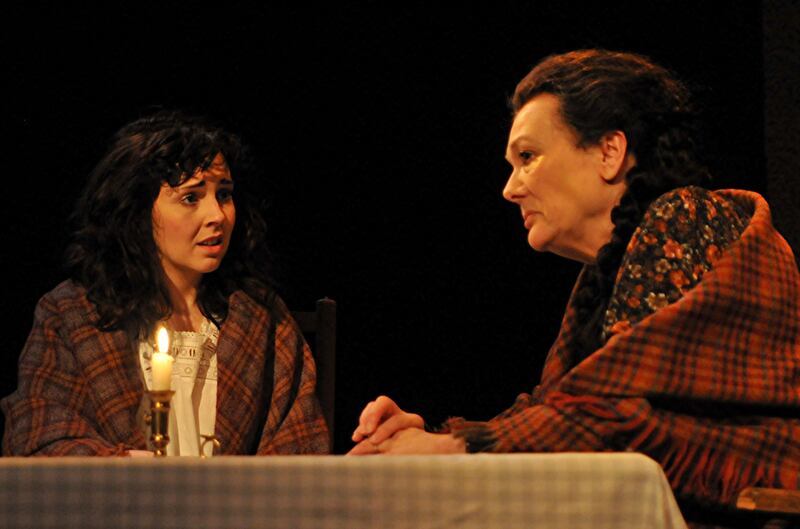 The Daughter-in-Law is an important play and, in Lawrence’s canon, it’s an essential companion piece to Sons and Lovers. And this is another one of those stupendously good, must-see productions that the Library Theatre seem to specialise in. The Daughter-in-Law is at The Lowry until 10 March, and further details can be found either here or here. 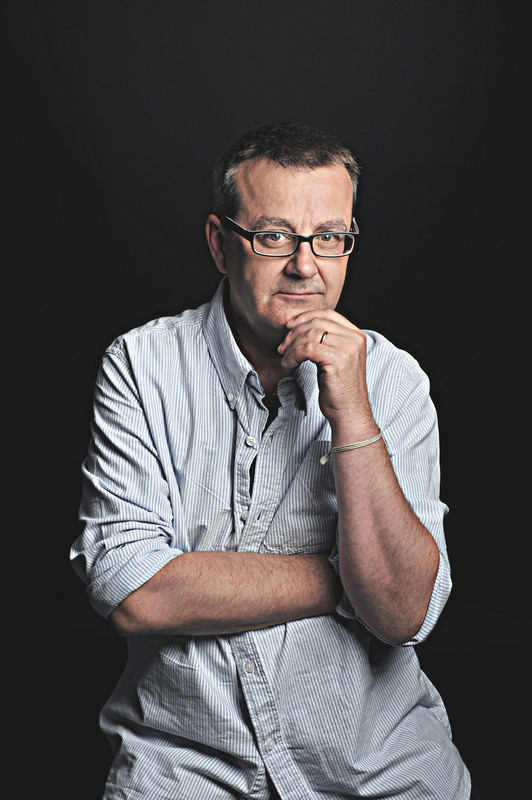 Chris Larner’s play is at once a wild gift and a dear hug. It’s like life itself: untamed but dangerous, tender yet costly. He tells the tale of his wife’s life, how she came to choose suicide and why he decided to assist her. The arguments are given a good going over (no need to revisit them here, for an outline see my review of Michael Cholbi’s excellent book) but it’s not simply a polemical work. Above all, the play engages the heart. For here, you realise, was a woman who took a long look at her life and made the rational decision to end it. You see it as like stepping into a pool of darkness. If it is true as Blake wrote that ‘it is a sublime act to place another before’ then here Chris Larner has written a sublime play. Indeed, it is a dear gift and a wild hug both. And as an aside: I loved this play because part of it reminded me of Mark Cox’s poem ‘Things My Grandfather Must Have Said’, which is most likely the best poem about a funeral ever. It can be read here. An Instinct for Kindness is currently out there, tour dates are here. A good novel should open up at least one wound in memory. This enigmatic effort, first fully published in Paris in 1936, does the job perfectly. It is enigmatic in several respects. For one thing, the identity of the author – it had long been known that M. Ageyev was a pseudonym – was only established in 1997. Mark Levi (1898-1973) wrote it and, his evident accomplishments as a writer notwithstanding, he apparently wrote little else. Then again, cocaine makes its entrance only two thirds of the way in; it is a prominent aspect of the novel, but by no means central to it. 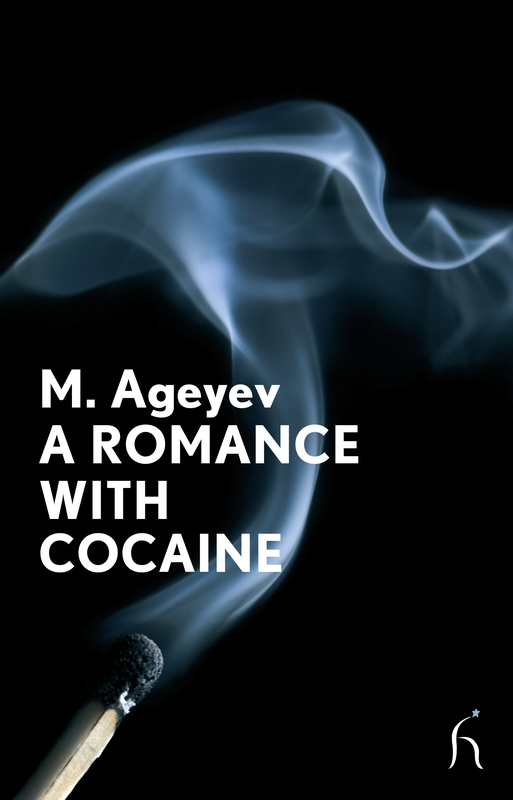 A Romance with Cocaine is a novel that’s all about the pitiful life of a certain Vadim Maslennikov, sixteen years old when we meet him, perhaps a decade older when we take our leave. He is ashamed of his mother and will go out of his way to disown her. When hooked on cocaine, he’ll steal from her to feed his habit. What is remarkable about the novel overall is Vadim’s honesty with regard to his unpleasant, vacuous character and behaviour. His self-awareness and analysis of his weaknesses is evident. But he is unable to make that change. Somehow he’s willing to just limp along, playing the poor relation to his richer, more powerful ex-school friends. Although at times quite disturbing, this film nonetheless is a worthwhile work of cinema. There’s nothing vicarious or titillating about it, the abiding note being one of weariness. A weariness of the body and the soul, the business of pleasure apparently really taking it out of you. The film focuses on a brothel in fin de siècle Paris: we are shown the Madam and her girls, the wealthy men who make up the clientele. While on the surface all is happiness and hedonism and unbridled enjoyment, in reality the women are bonded slaves, their bodies hired out to the men who pay for their services. Yes, the violence erupts in one horrific scene. But in a sense it’s always present, taking different forms. There is a network of conscription and complicity, and what you might call the Coppelia scene – a client likes a girl to act the role of a clockwork doll – is perhaps paradigmatic. Decadence has never seemed so dull and deadening, so less like fun. An accomplished, very impressive film. Yoshihiro Tatsumi invented Gekiga, a kind of comic geared towards adults. He was, on my understanding, a Japanese Robert Crumb or Harvey Pekar and this film is both a tribute to Tatsumi and an account of how Eric Khoo, the writer and director, got into comics. The two are, as it happens, closely related: Tatsumi was Khoo’s constant inspiration and his artistic hero. There are several stories by Tatsumi incorporated into the film – his work is generally realistic, though dark and downbeat. Naturally the whole of it is in the form of animation: comics, drawn figures. It suffices. As ever, Scott McCloud was right: you can express anything using comics and animation. Here’s some more info about Gekiga. 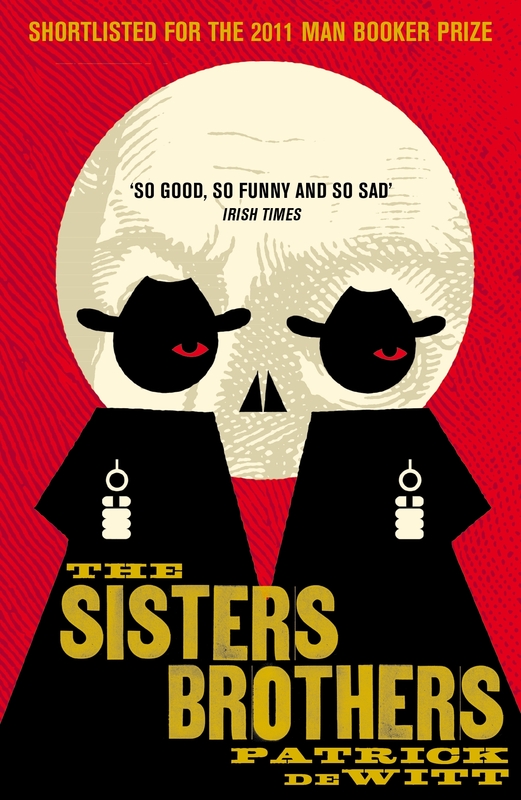 The Sisters Brothers is a terrific read. The publisher’s description of the book can be read here. He creates fake snow-flakes, or are they granules of sunlight? 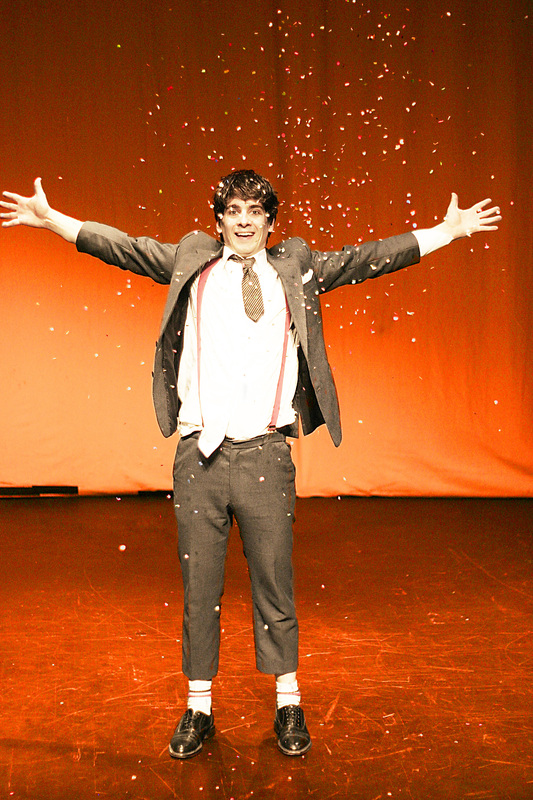 At the centre of this comedic work is a ‘little man’, a downtrodden character like the ones Norman Wisdom or Jerry Lewis used to specialise in playing, who assiduously cuts up paper to make confetti in some ‘70s-style factory. There are lashings of physical comedy, some dancing and juggling (‘the instant engendering form and form making the instant visible’ as a philosophical poet once put it) and a waxing of verbal wit, including a Shakespeare soliloquy. This leaves out mention of the puppetry – and a sorry tale of love lost it is that’s told. But it is a lot to take in, my pretties, it’s quite a ride. The show will appeal to children as well as grown-ups with child-like hearts. And those hearts will surely swell. The Confetti Maker can currently be seen on tour, details here. And there’s a trailer of the show here. What you have here is something of a paradox. For Travelling Light is a play about the beginnings of cinema that as part of National Theatre Live is being screened in cinemas world-wide. The conceit of the play is that Hollywood, or rather the spirit of that iconic place, has somehow been transposed to a Jewish village in Eastern Europe. So we have the preview to gauge audience reaction, the casting couch, the star system, the conventions of storytelling – and there are also (rudimentary) films within the play. In spirit it is quite close to Giuseppe Tornatore’s Cinema Paradiso and, naturally enough, the story is told through flashback: a Hollywood director, a kind of Irving Thalberg figure, telling the story of how he first started out. It’s a gorgeous watch, the performances possessing a real propulsive force. And Antony Sher’s character Jacob, the owner of a timber mill and the chief financier of the films, is virtually a force of nature. There is a dedicated National Theatre Live site with trailers and productions pics of Travelling Light. Check it out here. And details of future National Theatre Live events at Cornerhouse can be found here.